Details matter. Selecting the perfect promotional item to extend your brand reach can be a daunting task. 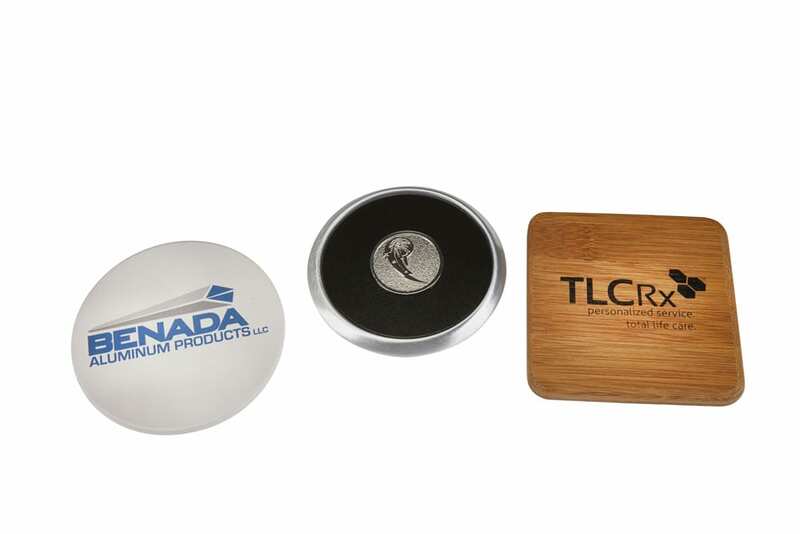 With millions of products available…it’s difficult to know which memento to select. When budget is the driver, it is easy to be lured by cheap cost, only to be disappointed with low quality or your logo’s poor imprint. 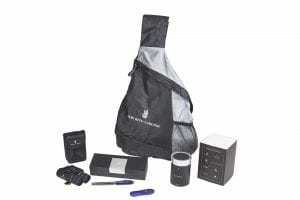 Let us guide you through this massive maze to quality products that will hit the mark. 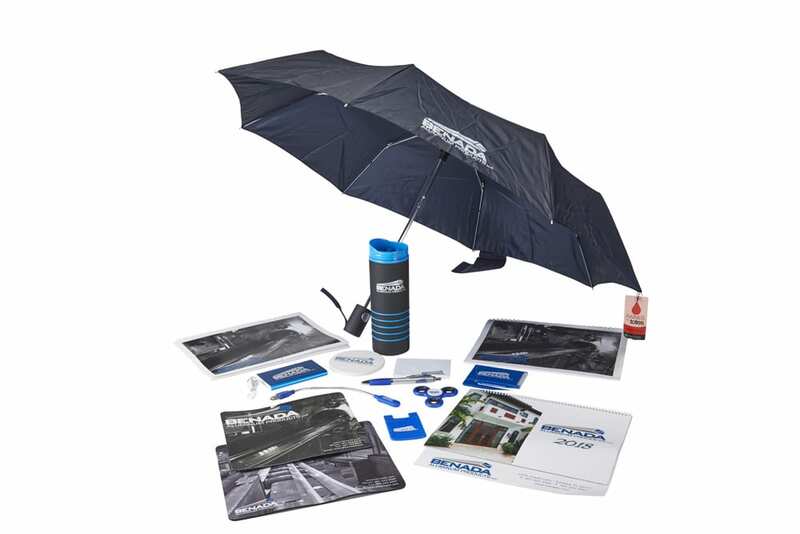 Umbrella covers a range of promotional products Rimco provides its client with attention to quality and budget. 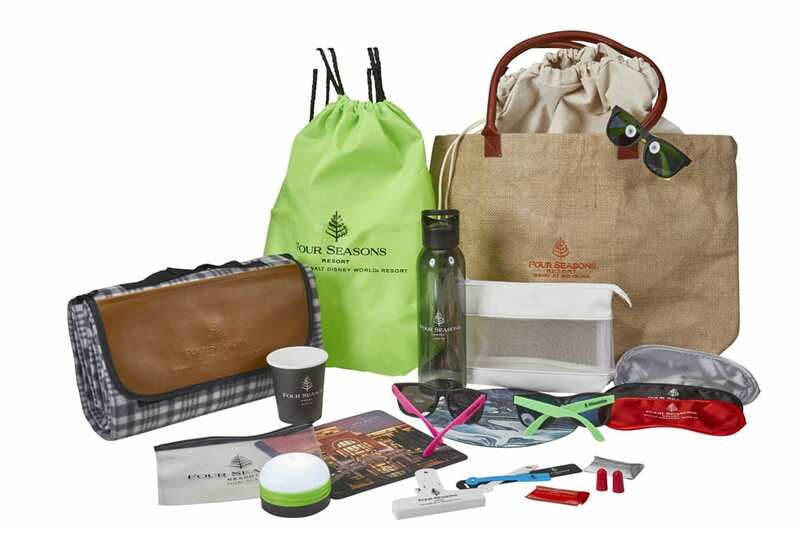 Whether custom made-to-order totes, or stock promotional merchandise….all work together for a cohesive brand presentation. 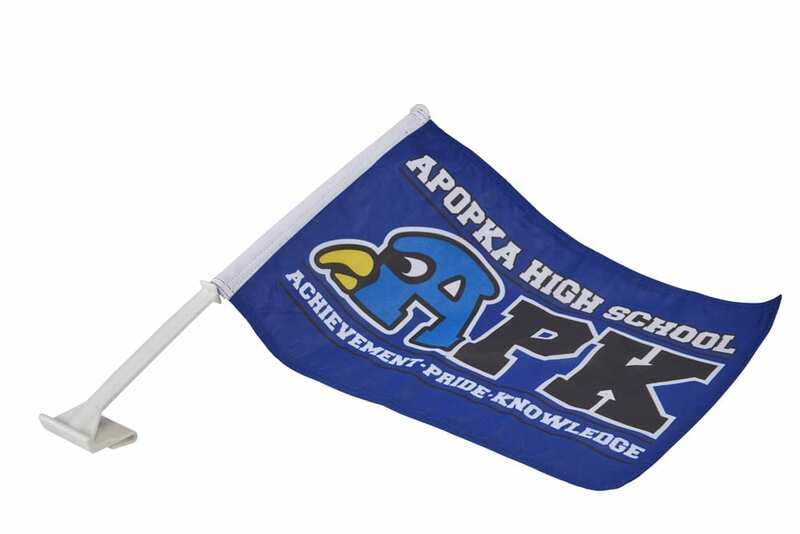 School spirit displayed with custom printed flag designed can be mounted on fan’s auto. Corporate promotional merchandise is decorated with client logo. Whether stock merchandise displaying a company logo or custom, like the socks shown attention to detail is critical in quality of merchandise and brand continuity. 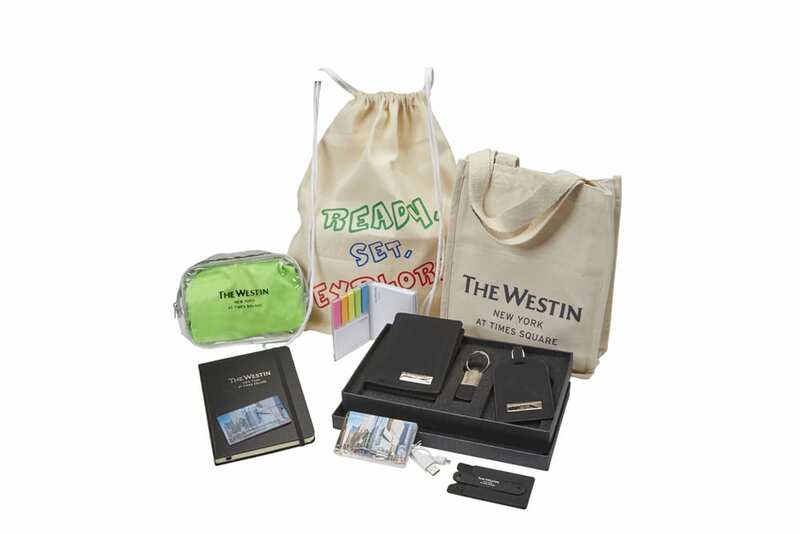 Hotel/Resort clients demand continuity in the quality of their presentation materials as well as the display of their logo. 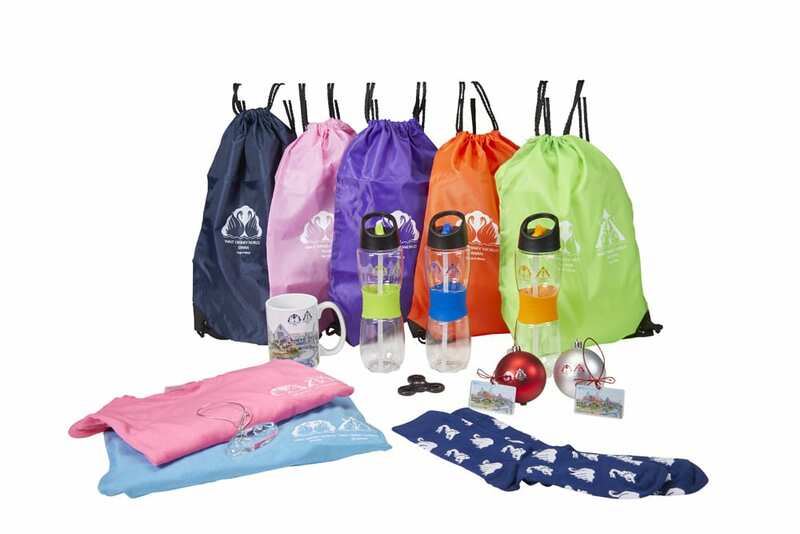 We provide quality promotional merchandise only from suppliers that can support our client’s brand standards. 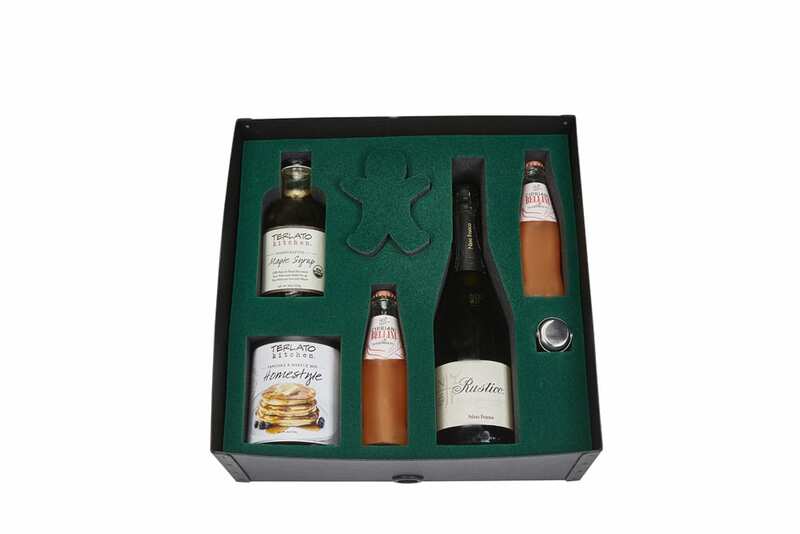 Gifting takes on many forms and presentation is as important as the items the gifts contain. The flocked foam insert holds each item in place and protects each item in shipping. We can design the perfect presentation for your gifts as well as packaging and shipping to your gift list. Custom imprinted promotional products packaged in a convenient tote. We will decorate, assemble and deliver all of the items for your corporate function. 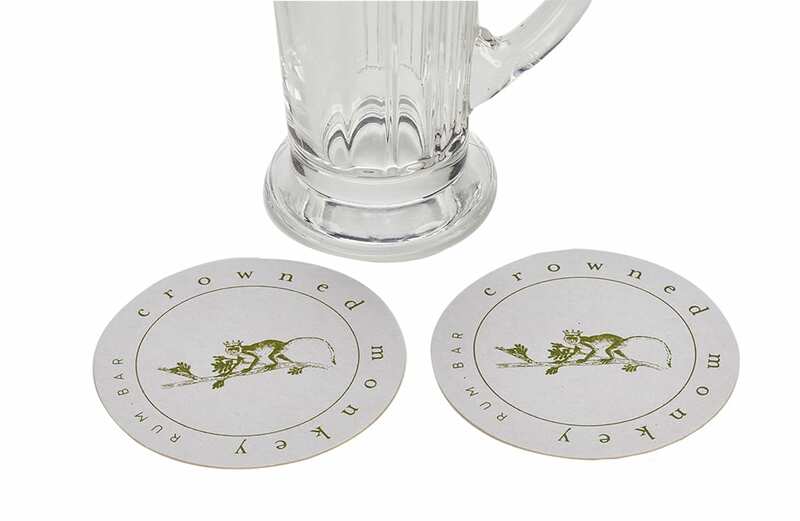 Coasters come in many materials, shapes and decorative possibilities. From leather inserts with medallion insert, etched wood and silkscreened thirsty stone… there is a custom solution for every need and budget. 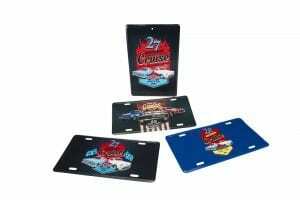 Custom 4-color printed and embossed metal license plates for a yearly classic car meet are a collectible for car enthusiasts that attend each year. These metal plates, signs, key chains and other items evoke this classic era. 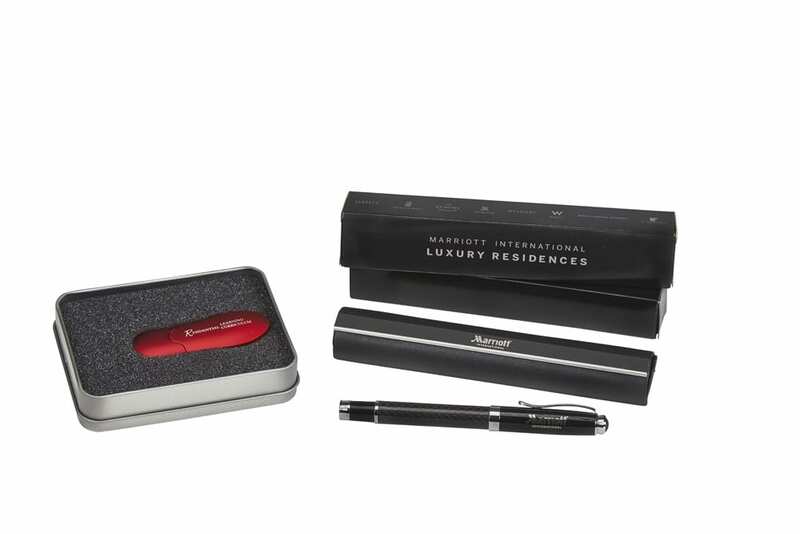 Executive engraved pen deserves an elevated presentation box and a printed sleeve incorporates the brand bar. Coaster in white paperboard and silkscreened in pms matched ink. 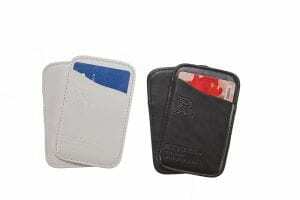 Imitation leather turned & stitched key cards with logo blind debossed on the front.